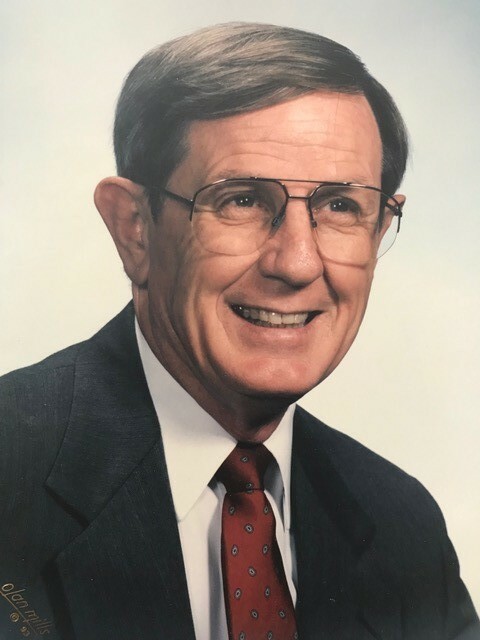 Edward “Ed” Dewitt Stanley, 85, of Amarillo, died Monday, January 21, 2019. Memorial services will be 2:00 p.m. Tuesday, January 29, 2019 at Paramount Baptist Church, 3801 S. Western St. with Pastor Lance Herrington officiating. Ed was born August 25, 1933 in Bowie County, Texas to Albert Jesse Stanley and Martha Lucille England Stanley. Ed grew up at Buckner Children’s Home in Dallas, Texas and graduated from high school there where he played football. He went on to earn a bachelor’s degree at Hardin Simmons University and a master’s degree in Education from West Texas State University. He proudly served in the U.S. Army. He met Barbara Kathryn “Kathy” Bean at University Baptist Church in Abilene, Texas. They were married there on December 21, 1956 and enjoyed 60 years of marriage. He was a devoted husband and supported and respected Kathy unconditionally. They moved to Amarillo in 1969. Ed was a history teacher at Horace Mann Jr. High in Abilene for several years. Later in his career, he became an insurance agent and financial planner with Horace Mann. After retirement, he kept himself busy with real-estate investments. Ed loved learning and teaching Texas History and was an avid reader. He also enjoyed tennis and camping and backpacking with his family. He was an active member of Paramount Baptist Church for many years. He was a faithful follower of Jesus Christ and along with Kathy; he tirelessly supported those in need including teaching English as a second language, assisting refugees in everything from moving/relocating to assisting them in obtaining citizenship and doing any small thing with great love for friends, neighbors and family. He was compassionate and had a passion for serving his community. Ed was a man of integrity who loved the Lord, worked hard, served well and lovingly led his family. He was preceded in death by his wife, Kathy Stanley in 2016; his parents; and several brothers and sisters. He is survived by three sons, Reese Stanley and wife Marilyn “Baer” Stanley of San Antonio, Steve Stanley and Gina Stiles of Amarillo, Mark Stanley and wife Amanda Stanley of Castle Rock, Colorado; a brother, Billie Joe Stanley of Dallas; and three grandchildren, Shea Stanley, Tyler Stanley, and Kathryn Stanley as well as many nieces and nephews. In lieu of flowers, memorial donations to Buckner International, City Church Outreach Ministry, Cal Farley’s Boys Ranch, or Faith City Mission.